Extremely comfortable pillow, filled with hollow fiber. Full protection of seat, back and armrests. The cotton bag has a waterproof bottom layer. 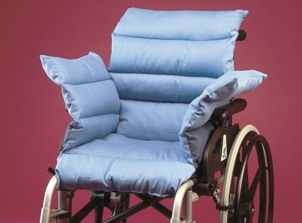 Usable in wheelchair or chair. Weight: 2 kg.